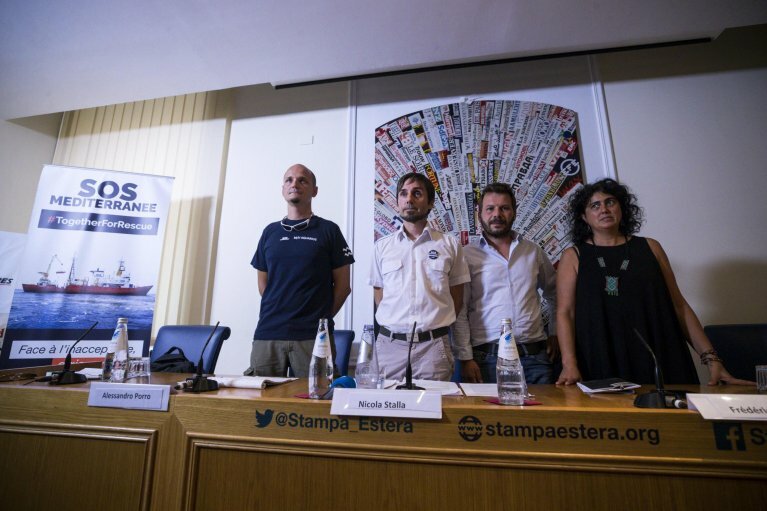 The president of the Italian chapter of Doctors without Borders (MSF) Claudia Lodesani, has warned that "people rescued at sea have different problems from burns caused by fuel and salt water to problems after their detention in Libya." Lodesani told a press conference that many bear signs of abuse and "torture" including scratches from spikes. Speaking before the Aquarius reaches the SAR zone, the vessel's representative clarified the organizations' guidelines ahead of new rescue missions: no rescued migrant will be taken back to Libya; the ship will not intervene only if there are other rescuers at the scene and there is no risk that migrants are taken back to Libya; any order issued by a maritime authority forcing a ship to sail to Tripoli will not be respected. ''Our objective remains the same - saving lives, taking them to a safe port and preventing people from drowning,'' Lodesani said.